Please note that not all proposals were reviewed, for now this is a short list with a selection of accepted speakers. More will be published in the near future. He is principal of Evariste Systems, Atlanta area, GA, USA, a consultancy specializing in open-source focused SIP service delivery solutions for wholesale and retail ITSPs and competitive carriers (CLECs). 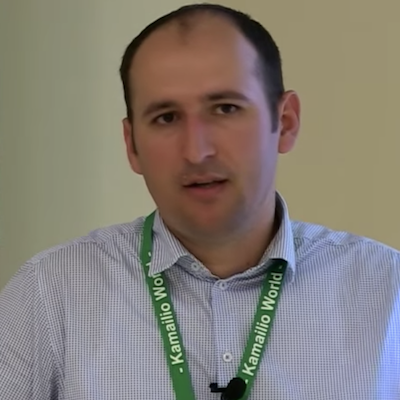 Alex is a member of Kamailio project management board, involved in application development and community engagement. He is employed as Senior Voice Engineer for QSC AG, one of the major German voice and data providers. 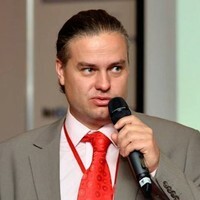 Alexandr holds a diploma in physics of Odessa State University. He has 20 years of experience in telecommunication techniques and has contributed to many OpenSource projects like FeeeSwitch, SER, Kamailio, SEMS, Asterisk, SIPP, Wireshark. 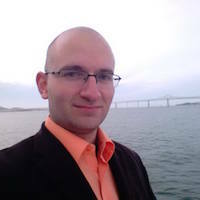 Alexandr is the founder and main developer of Homer SIP Capture project. He is Director of Stack Engineering at SignalWire, the company started by the FreeSwitch creators, aiming to revolutionise the API-based RTC communication services. A graduate of State University of New York at Buffalo, Chris is experienced in designing and implementing cloud communication systems and as a contributor to the FreeSWITCH project, he is the primary author of mod_unimrcp and mod_http_cache. Previously, Chris has been serving on principal or senior engineering positions at major VoIP companies, among them Citrix, Grasshopper and Genesys. He is the founder of Nimble Ape Ltd and runs the UK’s only Open Source RTC event – CommCon. Dan loves working with Node.js and with its community, along with his passion for building great architecture for Web Applications. For the past few years Dan has been building RESTful Hypermedia APIs but recently, he has been working with the WebRTC technology. As a Google Developer Expert in WebRTC his mission is to get more developers looking at and using the technology. He is Professional software engineer and consultant. Daniel has developed enterprise grade solutions for some of the giants of the financial services industry, including secure connectivity for UBS (using Apache Camel), the first customer-facing WebRTC contact solution on Wall Street at Interactive Brokers, enterprise-wide real-time monitoring for Barclays Capital (based on Ganglia) and a wide range of real-time financial trade capture and risk management solutions for Thomson Reuters. Despite the highly proprietary nature of these enterprises, Pocock has remained a champion of efficient, cost effective open source solutions to meet demanding business requirements. He actively contributes to a range of free software projects with a focus on real-time communications (RTC) and VoIP, in particular, Lumicall, JSCommunicator, DruCall, reSIProcate, Ganglia and flactag. 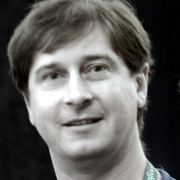 Pocock is the author of the RTC Quick Start Guide and is part of the team behind the O’Reilly book Monitoring with Ganglia. 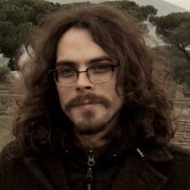 Daniel is a Debian and Fedora Developer and an OpenCSW package maintainer. He is a licensed radio amateur with the callsigns VK3TQR, M0GLR and HB9FZT. He studied Information Technology Engineering at the Polytechnic University of Turin, Italy. Open Source enthusiast, official Debian developer since 2004 and Ubuntu member since 2005, he is an experienced ICT consultant with broad know-how ranging from Network and Infrastructure engineering to software architecture and development, including DevOp activities based on Kubernetes. He served as CxO in multiple start-ups contributing to their successful exits and/or investment rounds. Fabio is currently working on the design, integration, and development of a scalable, Kubernetes-based, carrier-grade SIP/VoIP PaaS with evosip.cloud. When he is not busy building the next disrupting innovation you can find him sailing in the Adriatic sea. He is one of the most active Kamailio community members in USA, promoting the project at many conferences in North America. Fred provides VoIP consulting services through The Palner Group and LOD Communications. In 2010, he and his wife, Yeni Monroy, opened their bakery, in Gainesville, Florida. 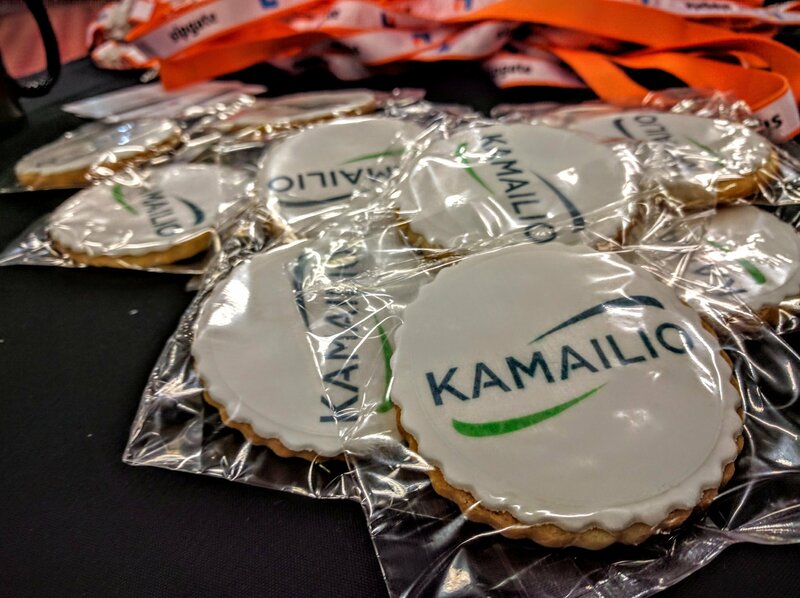 When not debugging SIP and RTP, Fred is baking bread and the amazing Kamailio cookies. He is heavily engaged with FreeSWITCH, of which he wrote the interface with Skype and with cellular phones. 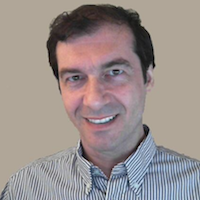 Giovanni is a consultant for the Telco sector, developing software and training courses for FreeSWITCH, SIP, WebRTC and Kamailio. An Internet tech pioneer, in 1996 Giovanni was cofounder of Italia Online, the most popular Italian portal and consumer ISP, and architect of its Internet technologies – www.italiaonline.it Then supervisor of Internet operations and architect of the first engine for paid access to www.ilsole24ore.com , the most read financial newspaper in Italy and to its databases (migrated from mainframe). After that, he was CEO of venture capital funded Matrice, developing Telemail unified messaging and multi language phone access to email (Text To Speech), and CTO of incubator funded Open4, an open source managed applications provider. Then he was for two years in Serbia as Internet and Telecommunication Investment Expert for World Bank – IFC. Since 2005 he’s based in Italy, and serves ICT and Telco companies worldwide. He is an experienced IT manager for IT Operations and software development. During his career he was responsible for different products at IT service providers and also for the internal IT of different large manufacturing companies in Germany. Several years ago Henning was responsible at 1&1 Internet AG for the operation of their Voice over IP and DSL platform. This includes the maintenance and deploying of extensions of the Kamailio, Radius, ACS and order middle-ware systems of 1&1. Henning was in charge with one of the biggest VoIP deployments out there, using Kamailio as core routing system: over 3 000 000 users, over 7 000 000 phone numbers and 1 500 000 000 routed minutes per month. He is a long term Linux user and contributer to several Open Source projects, participating in world wide events, presenting about Kamailio and open source. He holds a master degree in applied computer science from the University of Siegen. Henning is part of Kamailio management team. He is a veteran of the communications industry, having started his career in the days of thermionic valves and rotary dial telephones. 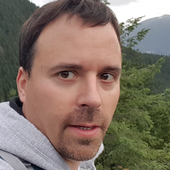 James has used SIP Express Router, OpenSER and Kamailio in a variety of roles over the years and is an energetic advocate for Open Source Software. Today he is CEO of Telet Research, a Northern Ireland based company who build mobile network infrastructure to facilitate Multi Operator Neutral Host (MONeH) operation for anyone who wishes to run their own mobile Radio Access Network. James is also one of the founders of the CH4LKE Mobile network – a Community Interest Company located in the beautiful Chalke Valley in South West England. He is lead VOIP software engineer at Flowroute, USA and a big open source and free software enthusiast. 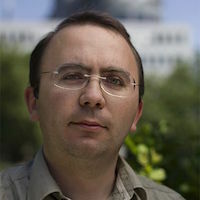 Julien has spent almost 20 years in computer and IP telephony integration, contributing since 2000 to projects such as GNU Bayonne, Linphone, FreeSwitch and Kamailio. In the past he has worked for Libon Orange Telecom Paris, France; Castmultimedia Montreal, Québec, Canada; Atlas Telecom London, UK. His recent contributions to Kamailio are related to optimizations to distributed message queue (dmq) for user location replication in geographical multi-node deployments, JSON accounting and SIP load balancing. He is a co-founder and CEO of SIP3.io, a tech entrepreneur who held roles in MegaFon – the largest mobile operator in Russia, and Hewlett-Packard – one of the biggest telecom solution vendors. 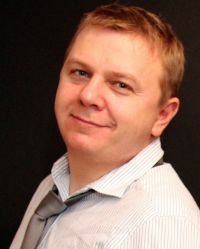 With more than 15 years of experience and strong technology background in the telecom industry, Konstantin brings to SIP3 strategic expertise that helped the company grow quickly. As a telecom entrepreneur, Konstantin still finds time to invest in several startups, support the IT community in Saint Petersburg, and work with “The Bonch-Bruevich Saint Petersburg State University of Telecommunications”. He is founder of Amsterdam based QXIP BV, Co-Founder and Developer of HOMER / SIPCAPTURE Project and voice specialist of the NTOP Team. 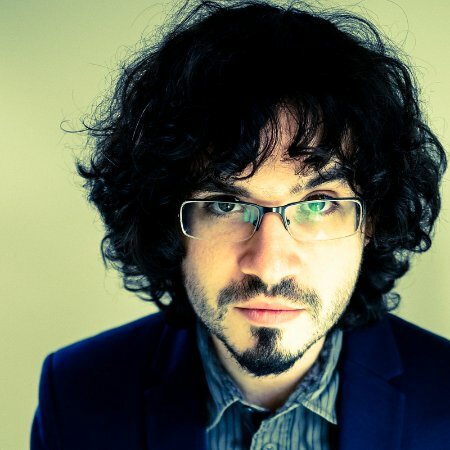 Formerly a Sound Engineer, Lorenzo has been deeply involved with telecommunications and VoIP for well over a decade and has contributed ideas, design concepts and code to many voice-related Open-Source and commercial projects specializing in active and passive monitoring solutions with his team. Currently he is Sr. Voice Engineer and Designer for the largest international cable operator worldwide, Liberty Global (the owner of UPC cable operators across many countries in Europe). He is the chairman and co-founder of Meetecho, a company providing both consultancy services and communication platforms. 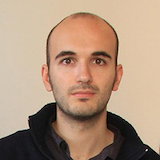 He got is degree and Ph.D at the Computer Science Department at the University of Napoli Federico II, where he started working on multimedia conferencing and met the colleagues with whom he co-founded Meetecho as an academic spin-off. 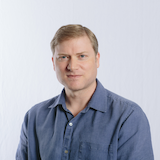 He is an active contributor to the Internet Engineering Task Force (IETF) standardization activities, especially in the framework of real-time multimedia applications. 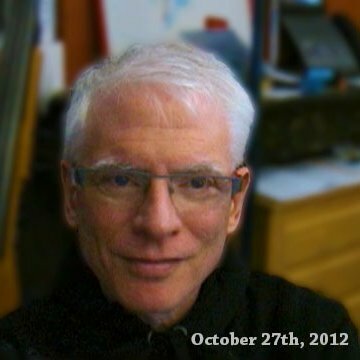 He is most known as the author of the Janus WebRTC Gateway, a general purpose and open source WebRTC server-side implementation. He obtained a Bachelor of Science in Computer Science and Masters of Science in Computer Science from Oakland University located in Rochester Hills, MI. 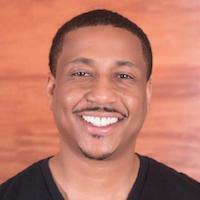 Mack has worked for large Silicon Valley based companies for most of his 20 year career in technology, which included 5 years at Sun Microsystems and 10 years at Oracle Corporation. In parallel, Mack is an entrepreneur, which has built companies in the restaurant and technology sector. Mack has been working on VoIP based systems for 10 years. He is the head of IT and VoIP infrastructure at sipgate.de, the company that offers products for at home, on the road and in the office. Since 2003 sipgate have been using SER, OpenSER and Kamailio, along with other open source projects. Beside landline networks, sipgate operate their own mobile core as MVNO, being connected directly with many carriers. With about 150 people that work in Düsseldorf in a lean and agile way, sipgate has supported Kamailio project to organize many of its community events, such as 10 Years SER, Kamailio Development Workshops and Kamailio World Conference. 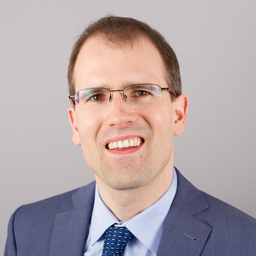 He is Deputy Director of Next Generation Network Infrastructures (NGNI) competence center of Fraunhofer FOKUS Institute, where he joined as a researcher in 2005. Currently Marius coordinates the activity of 5G and FUSECO playgrounds. His research work includes multiple patent applications submitted in the area of IP network architectures and multiple publications in the area of Next Generation Mobile Networks in collaboration with various industry partners. Marius holds a PhD in Computer Science from Technical University of Berlin. 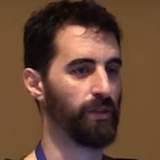 He has worked at Digium more or less since 2001. He has a BS in Computer Engineering from the University of Alabama in Huntsville. He wrote Digium’s SS7 stack, libss7, as well as maintained and developed its ISDN stack libpri. He also wrote a number of DAHDI drivers and maintained the DAHDI project for a number of years. He currently is serving at Digium as the manager of the Asterisk project. He has a master degree in Information Technology from Ferduwsi University of Mashhad, Iran, currently being the Chairman of the Board of Nasim-Telecom and serving as the manager of R&D department. He is the author of “Increase reliability factor of quality of services in VoIP networks” paper published in June 2015, also he wrote the first book about Asterisk in Persian languages in 2017. Now he is focused on developing IMS-based VoIP and Open-source VoIP services based on ETSI and 3GPP standards, developing a new module for Kamailio based on ETSI TS101-671, TS201-671, TS133-107 and TS133-108 standards. He is a security researcher, penetration tester and owner of Enable Security company. Sandro is the author of SIPVicious suite, a set of tools that can be used to audit SIP based VoIP systems, providing the famous SIP scanning tool also known as Friendly-Scanner. His daily activity involves simulating attacks, researching the security or lack of it for products and services. He has been building clustered and distributed Linux systems commercially since kernel version 1.3. In 2004, Seán founded CyCore Systems to build complex, multi-realm systems built on open platforms for all manner of business. He has been building telephone-oriented software systems since the early 90s, and he has been building VoIP systems since 2003. He leapt into the container world as soon as he saw it, and he believes Kubernetes is the operating environment of the future. He is an Open Telecom enthusiast and expert. 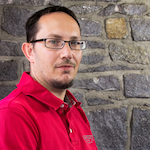 Sylvain created XiVO in 2005, with the aim of building an easy to deploy and consume IPBX solution based on Asterisk. He forked XiVO in 2016 to build Wazo and bring his new telecom vision to the world. 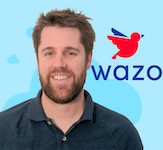 Sylvain is the CTO of Wazo, a Cloud-Native and Programmable communication platform based on Asterisk and Kamailio. He has been professor at the Technische Universität Berlin, Germany, leading the chair for next generation networks (www.av.tu-berlin.de) since 2004. In addition, since 2003 he has been Director of the Business Unit Software-based Networks (NGNI) at the Fraunhofer Institute for Open Communication Systems FOKUS (www.fokus.fraunhofer.de/go/ngni) in Berlin. For 30 years Prof. Magedanz has been a globally recognized ICT expert, working in the convergence field of telecommunications, Internet and information technologies understanding both the technology domains and the international market demands. He often acts as an independent technology consultant for international ICT companies. In the course of his applied research and development activities he created many internationally recognized prototype implementations of global telecommunications standards that provide the foundations for the efficient development of various open technology testbeds around the globe. His current interest is in software-based 5G networks for different verticals, with a strong focus on edge computing, network slicing, and private industrial networks. The Fraunhofer 5G Playground (www.5G-Playground.org) represents, in this regard, the world´s most advanced Open 5G testbed which is based on the Open5GCore software toolkit (www.open5Gcore.org), representing the first reference implementation of the current 3GPP 5G Release 15 standards. More details and a longer version of his activity are available here. He is the CTO of Pascom, Germany, and has over 10 years experience in the delivery of integrated VoIP systems based on open source software and more than 20 years in general full stack development. In his role, he is responsible for pascom’s Asterisk and Kamailio based VoIP PBX, which provides a user friendly and feature rich Business Communications platform. His time is mostly occupied with creating DevOps workflows, improving the pascom architecture and herding the cloud infrastructure. He is Co-founder and CTO at |pipe| Germany and owner of Westhawk Ltd UK. Tim is a futurist with a strong pragmatic instinct who is currently looking at how to apply web technology, thinking and metrics to the entrenched voice communications market (aka the telephone). He has a bright red rotary dial phone on his desk to remind him how little things have improved in 100 years but is optimistic about the change WebRTC can bring. Tim enjoys time with many IoE devices learning about how people relate to their smart objects and the security features they expect. She is a post doc in acoustics and audio signal processing, with a PHD in in analogue filter design at University of York. 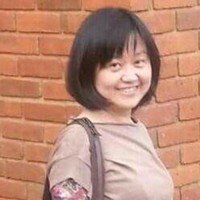 As a programmer in C/C++ for audio codecs, Yufei implemented a SIP stack on client side and managed Kamailio on server side for more than a decade. She owns a patent for DTMF bleed removal and co-authored another for communication inside audio channel of telephone calls.